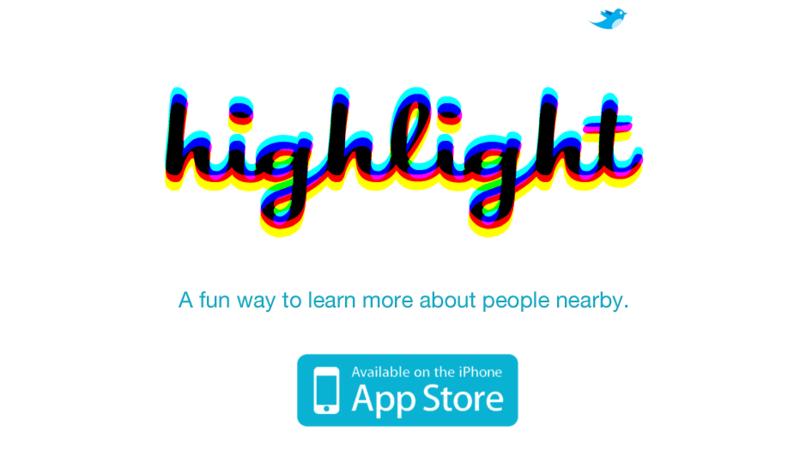 There’s a new trend set to emerge at this year’s SXSW know as “ambient social networking.” At the helm of this burgeoning trend is the budding two-person startup, Highlight, headed by founder and CEO, Paul Davison. While in the past, Foursquare and Gowalla were the location-based apps that made headlines, the latest innovation a is new breed that sits on your phone and runs silently behind the scenes. Rather than the check-ins feature that even Foursquare founder, Dennis Crowley, has admitted was losing steam, ambient social networking applications will only notify users with a pop-up notification when another user of the same application approaches your immediate vicinity. 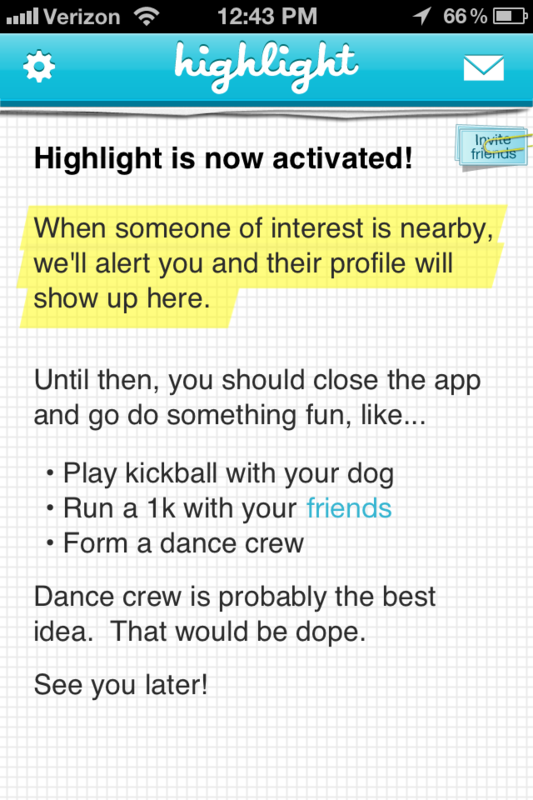 The purpose of an application like Highlight is simply to connect users with similar interests. Users within the same vicinity can view a snippet of each other’s profile, which includes their “Blurb,” the number of mutual friends and interest in common, and a map showing their location. Drilling down further into a profile reveals a few detailed pieces of information pulled from Facebook, including your job and lists of your mutual friends. The days of active check-ins are long gone. 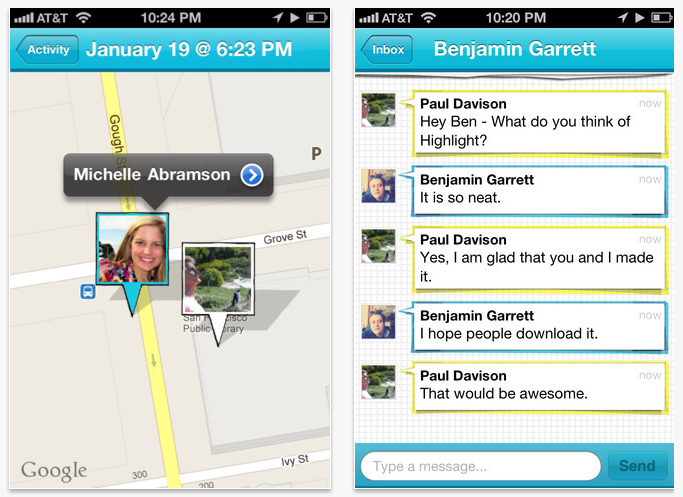 To go from discovery of a user to meeting them in person is facilitated by a simple direct messaging feature. Now you have a legitimate excuse to approach that friend-of-a-friend, or an investor. 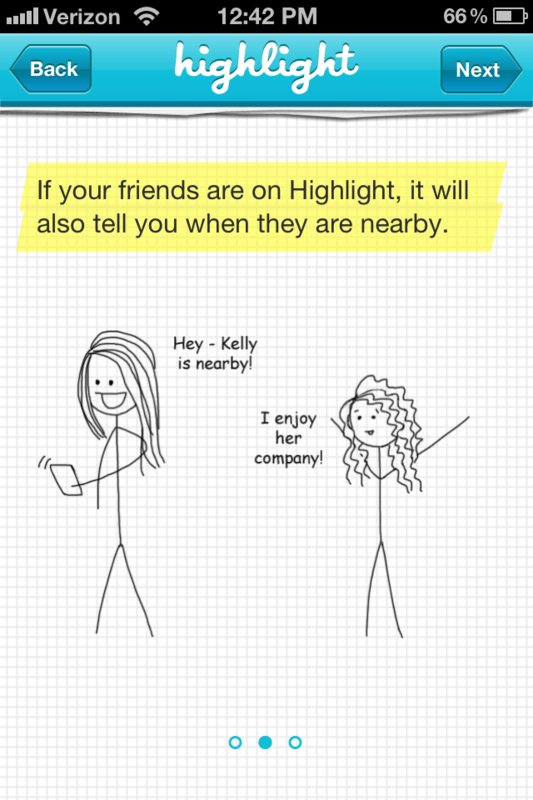 And you can use Highlight as a conversation starter. Some of you may be hesitant to reveal your location, or have the app run behind the scenes 24 hours a day. 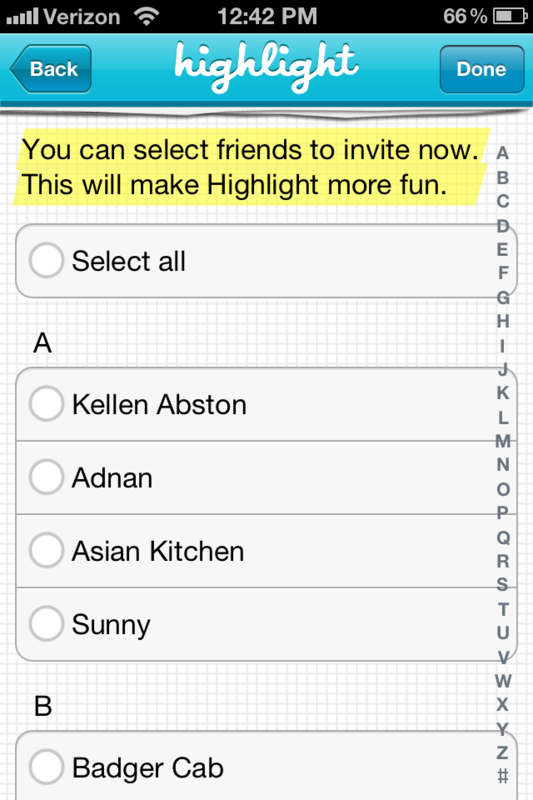 Highlight understands this, allowing users to “pause” the app whenever they wish. 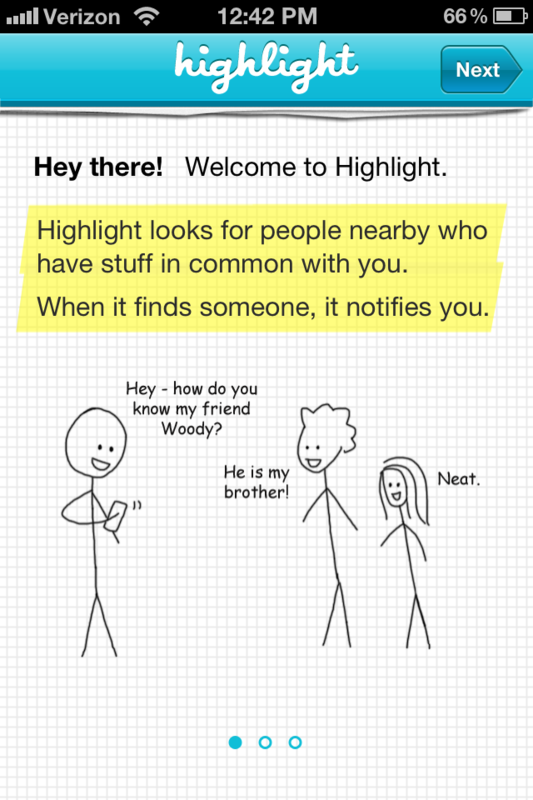 While Highlight does not offer extensive protective measures for the privacy minded, users are given the option to appear on anyone’s notification,or only friends-of-friends. Regardless, users should remember that Highlight trades your information for the chance to meet a like-minded acquaintance. On that note, what we’d like to see is a notification filter and a contact book of sorts, coupled with a notation feature to remind you exactly where and when you met a specified user, in the case of a serendipitous second reunion. Expect this year’s SXSW darlings to be Highlight and its competitor, Glancee.